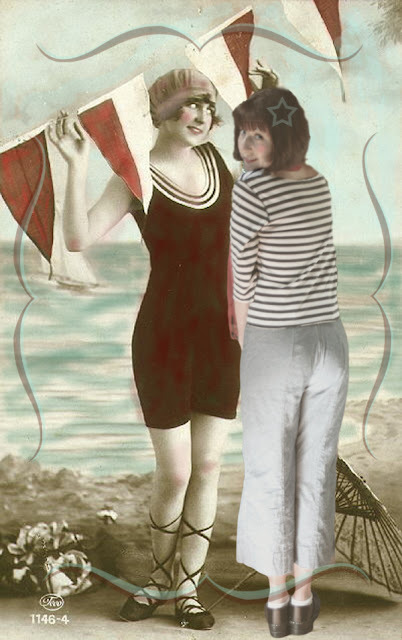 Bitter Betty Blogs: New Vintage Wardrobe Project# 25: Well, Hello Sailor! 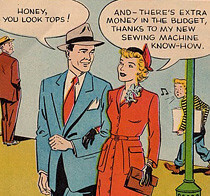 New Vintage Wardrobe Project# 25: Well, Hello Sailor! 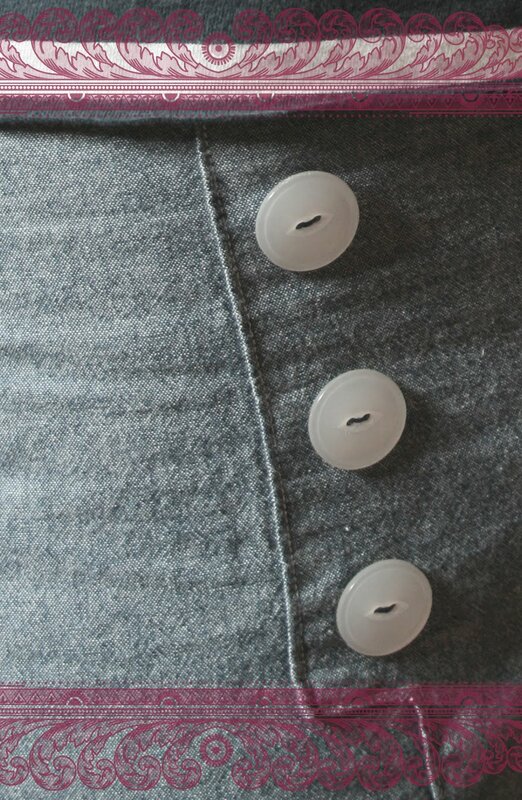 so even though I made them is a sweet soft chambray, they just had to be cropped off. seemed to come up to the bottom of my bra. and I think that is worth celebrating. Just in case you need to see the pattern.. I'll post it up at flickr in all it's disco wonderland glory. Labels: New Vintage Wardrobe, who wears the pants? Love these! I totally think they're flattering. 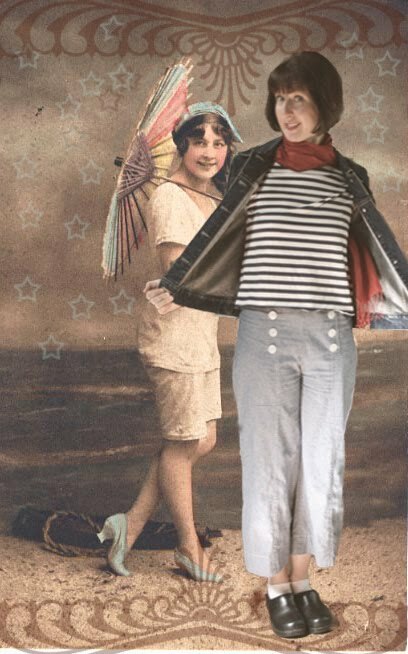 Great outfit, I love sailor pants! 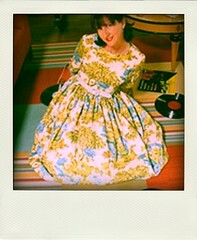 Cutest wittiest woman on the web. Hands down. 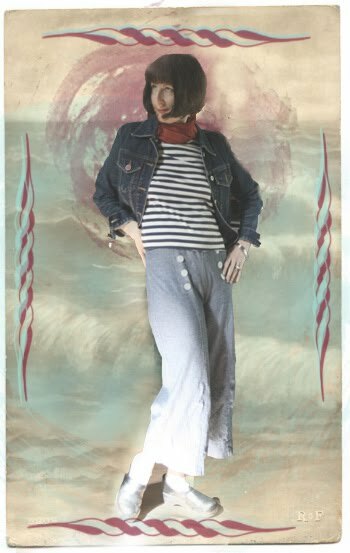 Just gotta snigger immaturely at "disco sailor pants" - I did live in NYC in the late 70's, after all. But you did a great job on them! Another excellent shoot - I especially like the star in the hair touch. Oh, I've got to come back and read all this and look at your pics. I am totally intrigued! they're great! (as tony the tiger would say). I guess these pants are giving me flash backs to late 70's commercials. But, really, I love the pants. They do look very comfy. I like the modifications you made. Perfect for spring weather. Love. love. love them! i'm such a sucker for sailor pants. i had a vintage pair of real wool ones from the army-navy when i was in high school. i wish i still had them. Those are some fancy pants! I love them and they do you all the favors and then some. I am in awe of your sewing prowess Bethany! So sweet & creative! I love your pics! This may be one of my very favorite of your wardrobe projects so far! You are adorable in them! You are so talented and the pics are wonderful!!! Great pants! I love that style. Well, done!